The Board of Directors and the Executive Director/Producer are now accepting nominations for this year’s very special service awards that were specifically created to honor individuals in special areas. PLEASE CAREFULLY READ THE DESCRIPTIONS BELOW THAT DESCRIBES THESE AWARDS! Please make sure that your nominee resembles that description! You may nominate more than one person and can nominate for each special award if you know the perfect candidate for that specific award. Nominations for the Special Awards should be made in the form of a short essay describing the qualities and/or circumstances that qualify an individual for a specific award. Essays should not be more than 150 words in length. The winners will be selected by The Column Awards Board of Directors and will be presented at the annual Column Awards Gala. We will contact the person who sent the nomination to let you know if your nominee made it into the final nominations to be voted by the board of directors. That way you can bring your nominee to the gala. Webster's defines community as a unified body of individuals. So where would community theatre be were it not for those individuals? Where would it be if we did not have those volunteers who act, direct, build sets, sell tickets, run props or work the concessions? Simply put, it would not exist. It is to honor these individuals that we are pleased to present the Rudy Seppy Volunteer Service Award. Rudy Seppy was a corner stone of ICT MainStage. He exhibited dedication, loyalty and willingness to do whatever was needed whenever it was needed. Theater was Rudy's second love after his wife Maria. Whenever there was a need for someone to either take a small role or work backstage in any capacity, Rudy could always be counted on to help. He was the "complete" theater person. His talents and willingness to be a part of any production included acting, producing, running concessions, stage crew, and directing. He also served and chaired a variety of committees including Play Selection, 4th of July Parade, Nominating, and Finance, as well as President. Rudy was a strong supporter of the ICT Children's Theater and Theater on the Edge. When Rudy was not directly involved in a production he could be counted on to drop by just to say hi and see how things were going. His self-deprecating humor endeared him to everyone. In addition to working with ICT MainStage, over the years, Rudy worked with Pocket Sandwich Theater, Metro Players & Theater Coppell. Though he would champion or be a part of productions for other theater groups, his loyalty and support remained with ICT. Rudy always exhibited the highest level of commitment to ICT & worked above and beyond ICT's expectations and is certainly worthy of this prestigious honor. Tragically, Rudy lost his life in an accident at the theatre, while running the spotlight during technical rehearsals for Nunsense in early 2006. Every theatre in our community has a Rudy, and we honor them. 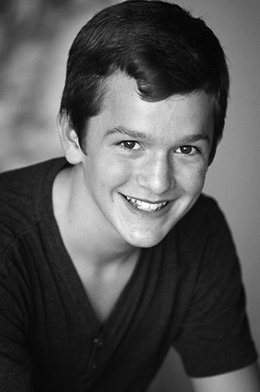 The Ben Brettel Award was created in memory of the shortened life and career of a promising young actor, Ben Brettel. 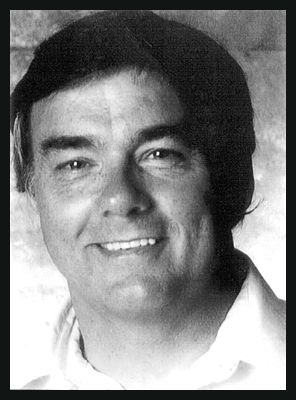 Mr. Brettel's life tragically ended in a car accident while visiting family on his vacation. His love for theatre was evident to John Garcia when they first met and performed together in Theatre Arlington's production of ANYTHING GOES. Their friendship remained solid up to the week of his untimely death. The week before his fatal car crash he came to watch John perform in DAMN YANKEES at ICT. This would be the final time they would see each other so, Mr. Garcia wanted to honor Ben with an award to other students who share that same passion and love for the theatre. The award is presented to high school junior or seniors who show promise in the craft of Theatre Arts. The student should have been actively involved in the theatre arts high school department throughout the 2017 calendar year. The student should have a passion, drive and love for Theatre Arts, and plan to pursue this course of study in secondary education. The Kathleen Freeman Award was created in memory of the Broadway Actress for her dedication to her craft in her final year on this earth. 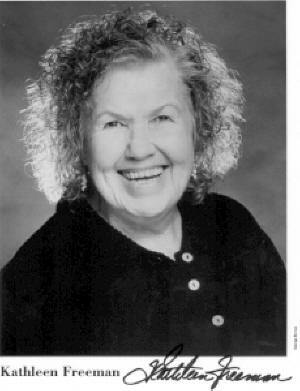 Kathleen Freeman was battling cancer while still performing in the Broadway production of THE FULL MONTY. She never once missed a performance. She would go to chemo in the morning, and then head out to the Eugene O'Neill theater to perform in THE FULL MONTY. Talk about, "But the show must go on!" This award is given to a male and female who, through tough circumstances continued on with the show. Through personal or physical issues/tragedies - they did not allow this to stop them from working on a theatrical production here in the DFW metroplex. He or She kept a smile and went on with the show, either in front or behind the curtain. This award is named after 13 yr old child actor Caleb Hugh Midkiff who passed away unexpectedly on November 23, 2012. He was a child with a vast, endless array of talents and interests. He performed as an actor, singer, and dancer in productions at both Equity and Non-Equity houses. He also created, edited and filmed videos for his enjoyment. He was a Boy Scout and played on his school football and baseball team. He was a child that had the "IT" factor in abundance. His love for theatre and performing was very evident on stage. 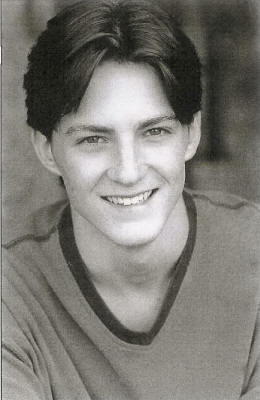 His resume included lead roles in several productions in the Dallas / Fort Worth Metroplex. Both in performances and rehearsals he was a professional, always focused, prepared and held his own with adult actors. He even held his own when he did a comedic ad-lib sequence with Tony Award Winner and Broadway legend, Chita Rivera, at The Column Awards in 2012. Nominee must at least be in grade level 6 and can be in grade level 10 – or equivalent at the time of the nomination. The nominated candidate should have a background of working in both professional and nonprofessional theatres. The candidate should have performed multiple principal roles. The candidate should also have a school background that involves extra-curricular activities other than theatre. The nominee must exemplify the rare gift of creating and working in all artistic formats. The person submitting a nomination should provide an essay (less than 300 words) detailing why the child performer should be honored with this award. Only candidates that reflect the character and talent of Caleb should be nominated. Nominations should be submitted by a theatre professional i.e. : Producer, Artistic Director, etc. Parental nominations will be considered at the discretion of The Column Awards Board of Directors. The Column Awards recognizes that not all technical and artistic disciplines in theatre are recognized with an awards category. Since The Column Awards strives to include as many artistic and technical endeavors as possible The Column Awards Board of Directors have created the Special Recognition Award. This award will be voted by The Column Awards Board of Directors. Areas for consideration but not limited to are: Fight Choreography, Silk Choreography, Wig Design, Prop Design, Music Composition, Puppetry Design and Projection Design. The Column Awards recognizes many new mediums of presenting theatre will evolve and the organization wishes to recognize excellence in fields not standard to the theatrical community. Nominees in an existing technical Column Awards category cannot be nominated for this award - i.e. : a nominee for Outstanding Costume Design cannot be nominated for this Special Recognition Awards.